A little stress can be a great motivator, as any student can tell you. A lot of stress, however, can often create more of an obstacle than a benefit. This is true when it comes to many things, including health-promoting behaviors, relationships, and even our memories. Stress can inhibit the way we form and retrieve memories and can affect how our memory works. Fortunately, there is good news here to balance out the bad. Here is what research tells us about the effects of stress on memory. Stress can affect how memories are formed. When stressed, people have a more difficult time creating short-term memories and turning those short-term memories into long-term memories, meaning that it is more difficult to learn when stressed. Stress can affect the type of memories we form as well. If we are stressed during an event, we may have more difficulty accurately remembering the details of the event later, as the stress we felt colors our perceptions as well as our ability to recall what we perceived at the time. This is part of why eye-witness testimony is so unreliable—people can be absolutely sure they saw something a certain way, but this doesn't mean that they are correct. One study found that people who all saw the same event may have wildly different accounts of what they saw, but the level of certainty they have about what they saw isn't necessarily even related to how correct they are. Memories can also change after they are formed. In fact, every time we retrieve a memory, we color it with our present experience of it, like when we take something off a shelf and then put it back, leaving fingerprints from having handled it again. Research shows that if people are questioned and given misleading information about something they experienced, that information will color their memory and influence what they thought they experienced and that this information (because it is more recent than the event itself) is easier to recall. This is why false memories can be created with well-intentioned lines of questioning. One of the most interesting findings was that stress could impede the formation of memories if it occurred prior to or during encoding, the time during which the memory is formed. The good news is that there was a short delay between encoding and the formation of the memory. Also, if the material being learned was directly related to the stressor, memory actually improved. Even better, post-encoding stress actually improved memory formation and retrieval as well, meaning stress that occurred after the memory was formed actually led to better memory-making. Stress increased cortisol, but the amount of cortisol was not directly related to the effects of stress on memory. This means that if you create more cortisol during your stress response, this won't necessarily mean that your memory will be more impaired than someone who is less hormonally-responsive. Interestingly, women who were on oral contraceptives experienced less of a negative effect. Train yourself in breathing exercises and other techniques. One study of police cadets in training has found that psychological performance training can improve the recall of cadets who experienced stress compared to those who didn't learn and practice these techniques. The techniques that were used included breathing exercises, a popular stress management technique; mental performance imagery, which involves vividly imagining practice and success; and attentional focus. This means that, when stressed, you can focus on breathing and focusing your attention, as well as vividly imagining yourself reaching your goals; this has proven benefits. Get moving. A study that examined the effects of an aerobic exercise program on memory-impaired people found that a 12-week exercise program indeed improved their memory over those who didn't enroll in the program. 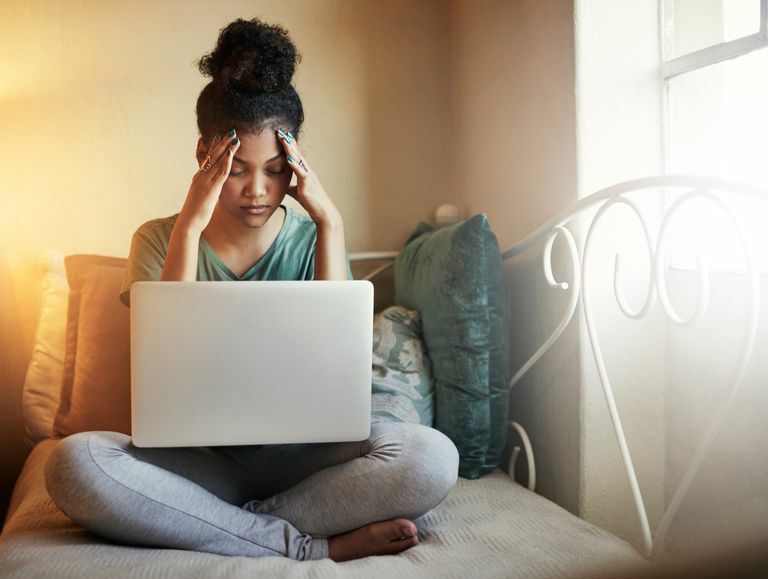 The subjects involved in the study were experiencing mild cognitive impairment from the effects of stress-related exhaustion, so these results are especially relevant for those who are stressed. Practice mindfulness. Another study examined the fact that those who experience stress and memory issues often experience sleep problems as well. It was also observed that those who practiced mindfulness often experienced less stress and fewer memory issues. It was finally determined that mindfulness actually minimizes the sleep problems that can affect memory and create problems. This also demonstrates that practicing mindfulness can help with your memory not only by minimizing the stress that can be impairing it but by enabling better-quality sleep as well. Learn some tricks. There are some simple tricks like clenching your fists or moving your eyes from side to side that can help with memory creation as well. Here is more on what they are and why they work. Brisbon, Nicholas M.; Lachman, Margie E. Dispositional mindfulness and memory problems: The role of perceived stress and sleep quality. Mindfulness, Vol 8(2), Apr, 2017 pp. 379-386. Eskilsson, Therese; Järvholm, Lisbeth Slunga; Gavelin, Hanna Malmberg; Neely, Anna Stigsdotter; Boraxbekk, Carl-Johan. (2017). Aerobic training for improved memory in patients with stress-related exhaustion: A randomized controlled trial. BMC Psychiatry, Vol 17. Jonsdottir, Ingibjörg H.; Nordlund, Arto; Ellbin, Susanne; Ljung, Thomas; Glise, Kristina; Währborg, Peter; Sjörs, Anna; Wallin, Anders; Scandinavian. (2017). Working memory and attention are still impaired after three years in patients with stress-related exhaustion. Journal of Psychology, Dec2017; 58(6): 504-509. Loftus, E. F. Planting misinformation in the human mind: A 30-year investigation of the malleability of memory. Learning and Memory. 2005;12:361-366. Page, Jonathan W.; Asken, Michael J.; Zwemer, Charles F.; Guido, Michael. (2016). Brief mental skills training improves memory and performance in high stress police cadet training. Journal of Police and Criminal Psychology, Vol 31(2), pp. 122-126. Wolf, O. T.; Atsak, P.; de Quervain, D. J.; Roozendaal, B.; Wingenfeld, K.; Stress and memory: A selective review on recent developments in the understanding of stress hormone effects on memory and their clinical relevance.Journal of Neuroendocrinology, Vol 28(8), Aug, 2016 pp. 1-8. Kiss Stress Goodbye for Good! How Important Is the Hippocampus in the Brain? Does Drinking Coffee Actually Improve Memory?